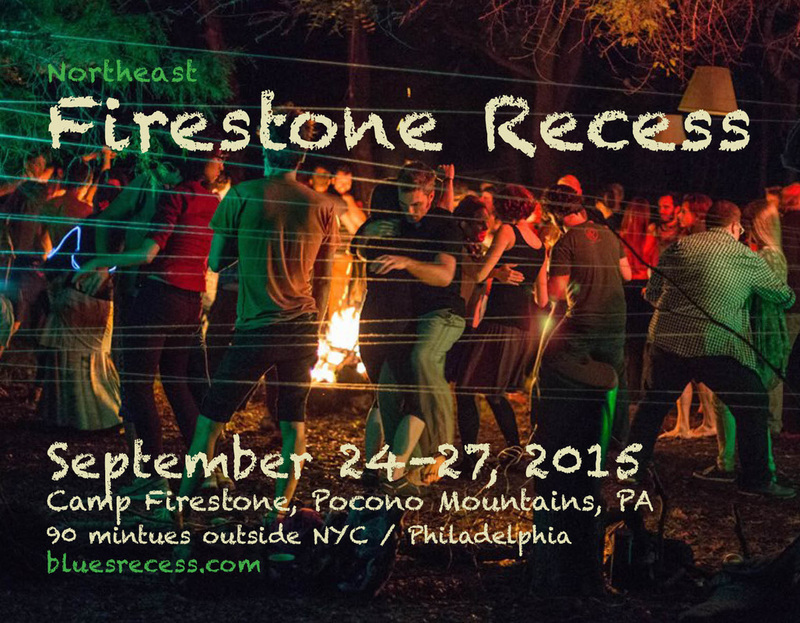 After such an inspiring start on the East Coast last year with Shakori Hills Recess, Recess has decided to bring its 2015 fall event to the Northeast. The setting is 4200+ acres of hardwood forest, waterfalls, and mountainsides a 90 minute drive west of New York City and 90 minutes north of Philadelphia. Dancing and skill-share workshops during the day and dances raging into the dawn. Countless hours of some of the most inspiring live and DJed Blues, Alt-Blues, and Fusion music you'll hear anywhere. You will be fed all local, organic food as we all work together to co-produce an experience beyond the every day. This is primarily a camping event, but we do have 28 beds available for people want to pay a bit extra for some creature comforts or who don't want to fly with a tent. Optional: $80 for 4 nights of your own bed! Dormitory style rooms located in the main dance space. 30 spaces available. You will bring your own bedding. *Please note that Scholarship covers only entrance to the event and does not cover food. While we really believe in financial accessibility, the amount we charge for food is literally the cost it takes us to feed you, so we ask that you try to cover your food costs if at all possible. We are charging less than $3 dollars a meal for local, organic food with big portions. We generally ask that people either cover their own food costs to buy meal tickets or that they try to feed themselves at the event. The full instructor lineup is still to be announced, but we will have multiple class periods a day with a large assortment of classes and instructors to choose from. There will be classes held on partner dancing, solo dance, non-dance movement arts, social and community building topics, and more! There will also be opportunities for anyone to teach workshops through a Skill-Share. Meaning, if you have something (anything!) you want to teach, you bring the class and we'll create the space where you get to teach it to your community. Because to be real, aren't we all both students and teachers? Recess events are not run by some huge production company; they are run and produced by you! Every single person who registers will work one volunteer shift during the event. 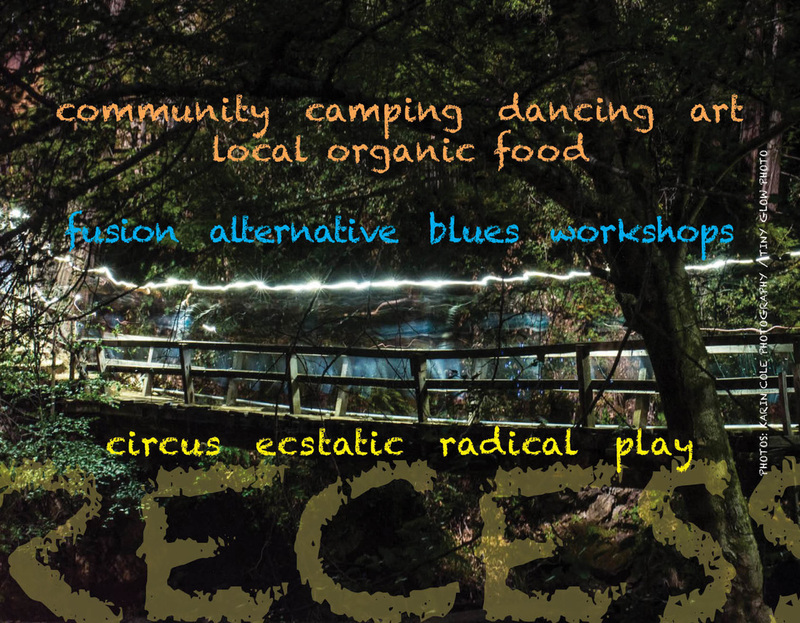 You will get to choose where you plug in: working in the kitchen, building one of our structures, helping folks register and find their way around, creating a enchanted ambiance for the dances, supporting all our hard-working volunteers… whatever you decide, you’ll be helping to make the Recess magic happen. ﻿Build will begin Thursday morning, official arrival is at 4pm on Thursday, feel free to arrive before the 4pm start time, but plan to help us set up! Everything you need for camping (or have purchased one of the 40 bunk bed spaces). We are talking ground pad, sleeping bag, tent, the works. Snacks. If you buy meal shares we will feed you three meals a day plus snacks, (with vegetarian, vegan, gluten free, and meat options). If, however, you have other crazy allergies or dietary restrictions, it's probably a good idea to bring some of your own food regardless of whether you buy meal shares. Your own mug/drinking vessel. Plus any spoons you'd like to donate to the Recess Kitchen! We've got forks & dishware covered! Please note that the dishware we use IS PLASTIC. If you prefer not to eat off of plastic, you are still welcome to bring your own. However, for sanitary reasons, we will no longer be serving into mugs. Bring a reasonably sized thing, or use ours. We recommend putting your name and city on whatever you bring and don´t bring your grandmother´s china or anything else you'd be devastated to lose. Clothes to be screen printed! We will be offering custom-prints on any clothes you choose to bring. Clothing must be dropped off for screen printing on Friday and/or Saturday morning and will be available for pick-up Sunday afternoon. The inks will be black and white, so bring clothes that will show those colors well. Also keep in mind that textured fabric and seams are hard to print on and often produce less-than-ideal outcomes. We love to pay artists for their work! We suggest a$5-10 donation per screen print. ﻿Thursday Event Arrival Information:﻿ Dinner and opening circle at 6pm. Feel free to arrive anytime earlier, but know that we'll joyfully ask (and expect) you to help us set up! Music starts at 9pm. ﻿Daily Meal Times:﻿ (All heavy on the "ish") 11am Brunch, 6:30pm Dinner, 1am Late Night Meal. Dancing Thurs/Fri/Sat/Sun nights: 9pm - When we stop. With venue changes and transitions..
One food share ($25/event) entitles you to 4 days of vegetarian food, which includes 3 meals a day. In addition to your veggie share, you can buy a meat share at Firestone. Because meat is extremely resource intensive not just to produce, but to buy, refrigerate off grid, and prepare safely, there will be an additional cost for meat shares. One meat share ($25/event) will entitle you to meat meals, including one 3 - 4 oz. servings of meat each day. If you think you want twice that amount, feel free to purchase multiple meat shares.